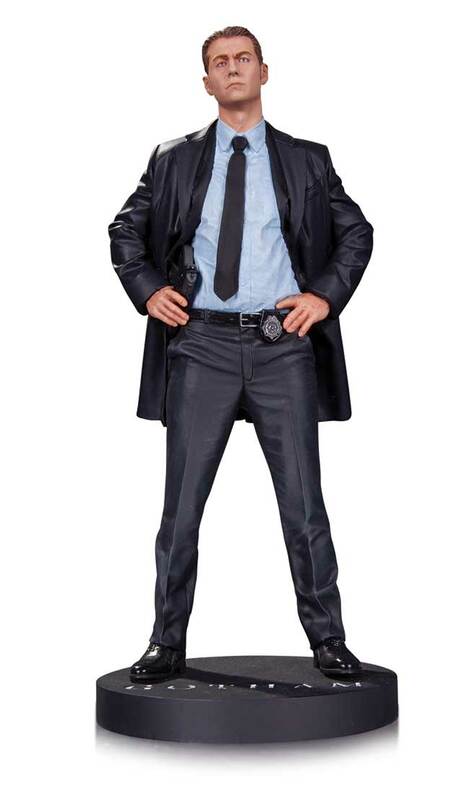 From the mean streets of GOTHAM-the wildly popular television series-comes this wonderfully sculpted statue of GCPD's most dedicated member, Detective James Gordon! 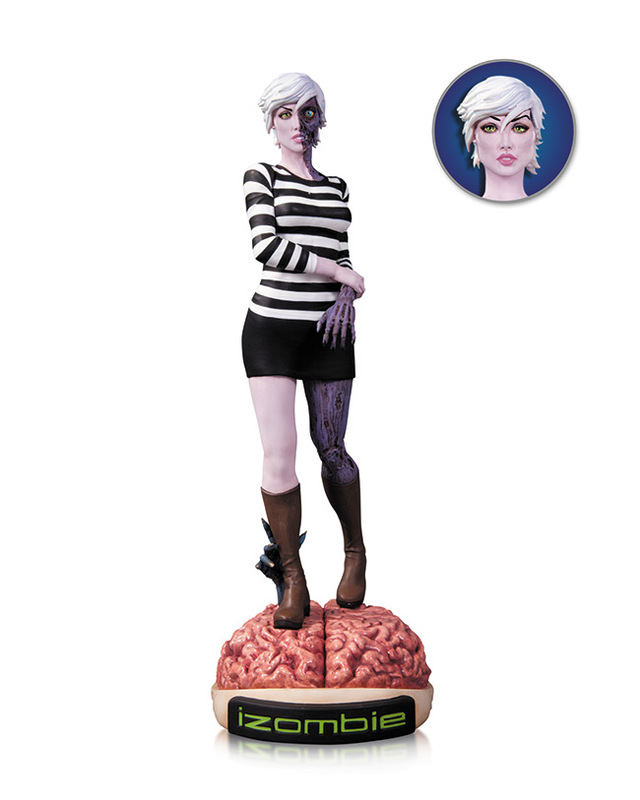 Take a bite out of the world of the hit Vertigo series iZOMBIE with this stunning statue based on the art of acclaimed artist Michael Allred! 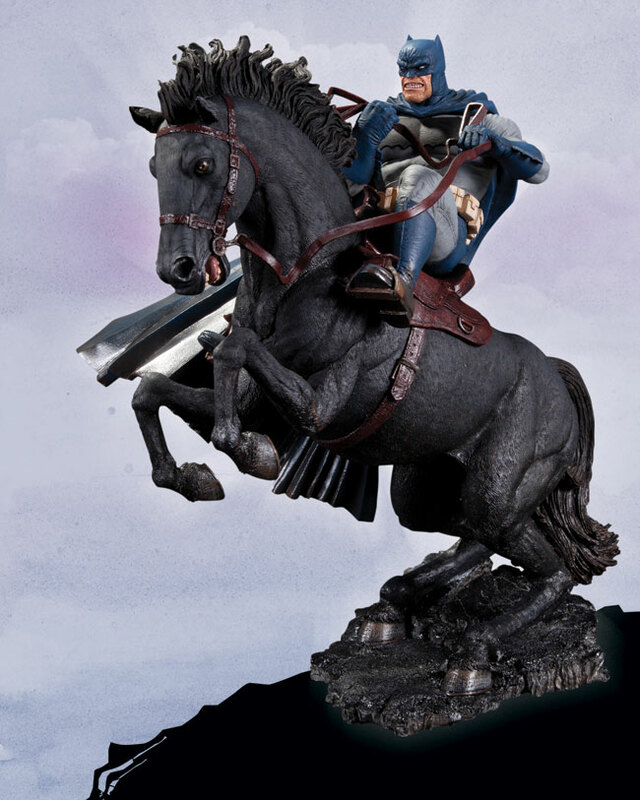 Mounted on a horse as black as the night he defends, the Caped Crusader rallies the troops in this new statue inspired by Frank Miller's legendary work, BATMAN: THE DARK KNIGHT RETURNS. This skillfully designed piece is as detailed as it is unique, so order now before it sell out! 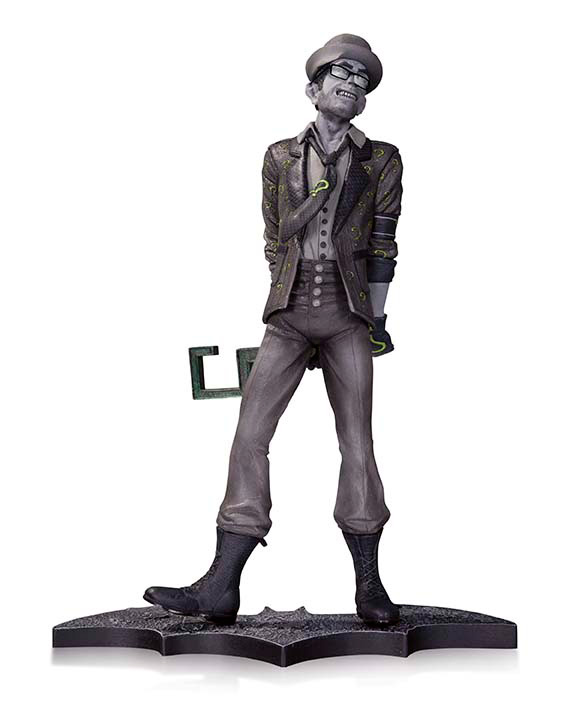 Measuring approximately 14.5" high x 12.5" wide x 10" deep, his hand-painted, cold-cast porcelain statue is packaged in a 4-color box.